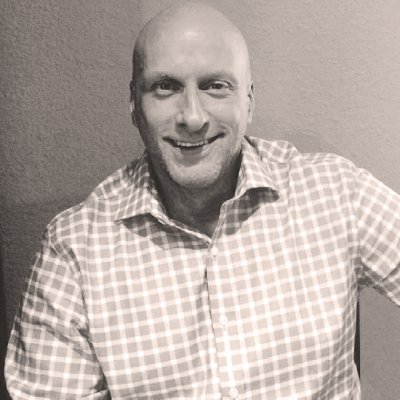 CONSULTANT -- Ryan Siskow is a People and Organizational Capability Consultant, Social Media Strategist and Author with over 15 years of progressive experience facilitating positive performance, growth and profitability. He works with Fortune 500 companies, privately held firms and small businesses in the areas of change management, organizational effectiveness, leadership development, talent management, succession planning, learning, social media, communication and personal branding. His experience includes full-time positions and client work with Arthur Andersen, KPMG, MTV Networks/Viacom, Taco Bell, McDonald’s, Kodak, Coca-Cola, IHOP Restaurants, Exelon, The Economist Intelligence Unit, CFO Magazine, Compaq/HP UK, Cash America, Progress Energy and the Ohio State University Fisher School of Business. Areas of expertise encompass various aspects of the employee and organizational life cycle including: talent acquisition, on-boarding, competency modeling, learning design and development, facilitation, performance management, succession planning, leadership development, executive coaching, employee engagement and social media strategy, implementation and measurement. Siskow is also an MBTI, DISC and FORTE certified facilitator and coach. As both an internal leader and external consultant, Siskow has worked across diverse business settings including multiple brands/divisions, growth through acquisition, 24-hour/multiple shift environments and global operations. His client work spans media and entertainment, energy, food/beverage, financial services, education, technology, consumer research, manufacturing and professional services. Siskow holds a Master's Degree in Organizational Communication from Northern Illinois University and a Bachelor's Degree in Communication and Adult Learning from the University of Northern Iowa. Worked with the Harvard Business School and the Center for Executive Development to design, develop and facilitate the partner development program for one of the largest accounting and advisory firms in the world. Managed the Global CFO Knowledge Program, a worldwide knowledge exchange series sponsored by The Economist Intelligence Unit and co-authored the executive publications The Evolving Role of Finance and Excellence in Finance. Partnered with the Kaiser Family Foundation and Cable Positive to design and lead employee and community outreach and education programs for the Viacom/MTV Networks domestic KNOW HIV/AIDS and international STAYING ALIVE public service campaigns. Designed, developed and led the successful deployment of leadership development programs for two global restaurant chains. Author of the on-line publication www.connectcollaboratecreate.com. His articles have been featured on numerous social media sites, including LinkedIn, Medium.com and theneeds.com.